The need for downtime, concerns about over-tourism and the dual desires to travel sustainably and to have informative experiences are the major influencers on adventure travel in 2019, according to leading adventure travel specialist, World Expeditions. Being constantly “connected” and the resulting lack of down time in our everyday lives is driving demand for “slow travel”; concerns about over-tourism is convincing adventure travellers to avoid travel hotspots and seek out alternative routes in lesser known destinations; the desire to maximize positive impact in the destinations we visit and the desire to learn something from the experience are all shaping the future of adventure travel globally. Quieter travel: Publicity about over-tourism is encouraging more confident travellers to look beyond replicating what they may see on social media of friends’ travel. 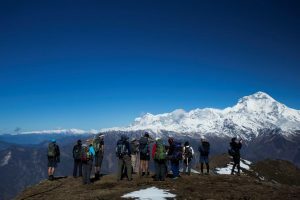 World Expeditions reports a significant increase in enquiries for the company’s range of exploratory expeditions in remote regions and in alternative treks in better known destinations. “We’ve been long time advocates for the “off the beaten track’ style of travel and we’re well positioned to cater for this trend,” Ms Badyari said. 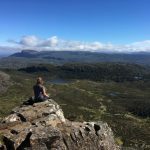 “We’re finding that more confident travellers are less interested in replicating the travel experiences of others that they may see on social media and more interested in seeking out lesser visited destinations and trails. Smarter travel: Travelling with an expert – whether it be one of our world class guides or with someone widely recognized in their field adds a dimension to a trip that is not possible otherwise. Exploring Sri Lanka’s cuisine with Peter Kuruvita, delving into the history and culture of Israel, Jordan and the Middle East with George Negus or travelling to Antarctica with Dr Karl Kruszelnicki deliver unique life experiences and opportunities for seeing a destination that cannot be matched. Greener Travel: Being a Thoughtful Traveller and ensuring the places we visit are positively impacted by our visit is a priority for many travellers. Child safe tourism, animal welfare, conserving environments and cultures are will all remain important aspects of the travel experience. In 2019, many people will be focussed on reducing their use of plastic by taking refillable water bottles and avoiding buying single use plastic bottles.